Are you ready to discover the World in a playful way? Give answers to questions and start to run. Any right answers will help you to run further to reach new countries and discover the World. 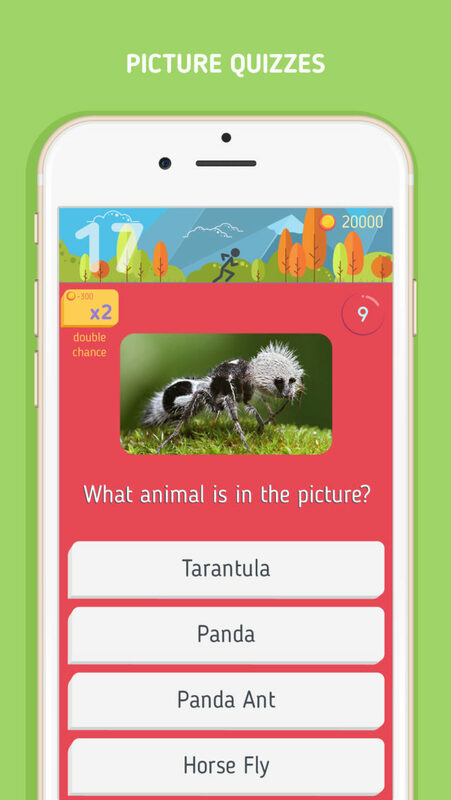 A new kind of trivia game with full of good questions and their informative comments. 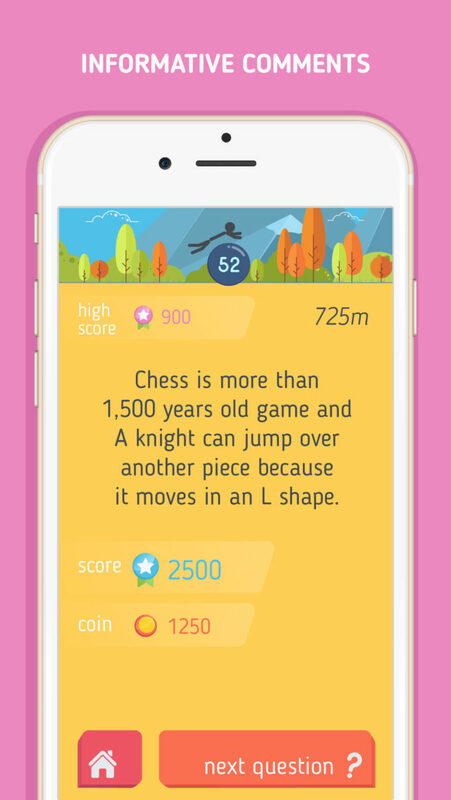 This game is not only a trivia game but also a source of new informations about different type of categories such as movie, art, sport or general knowledge. Run! Only right answers count. If you are not sure which one is right, double chance button will help you to find. It’s the only game let you discover the world by running. Did you know that Elizabeth II is far and away the world’s largest landowner with her 6.6 billion acres? — Have you heard about that Ancient Rome had a 4 story tall shopping mall that had 150 shops and offices? Every country has its own special fun facts waiting for you. 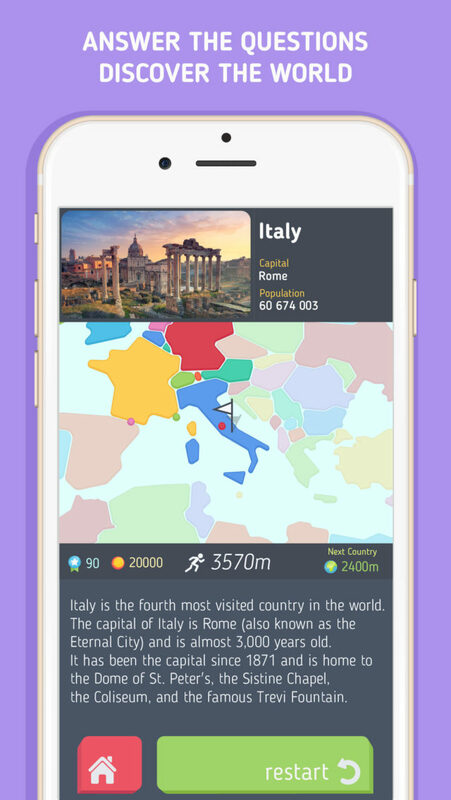 Run through the countries, discover the world. 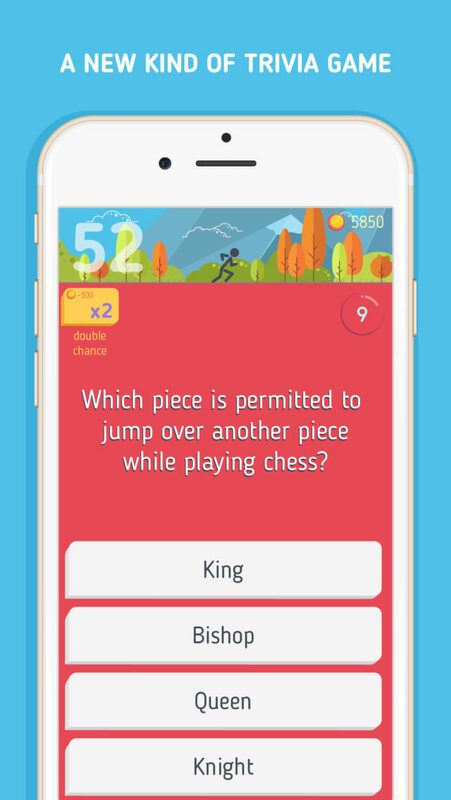 We prepared thousands of questions in 4 different categories and still creating new ones. Every question includes its own informative comments about the correct answer. If you are right about the answer you will add new information to your knowledge. If you are wrong you have the chance to learn the right one with extra information. 3 – 2 – 1 …START! It’s your turn now. 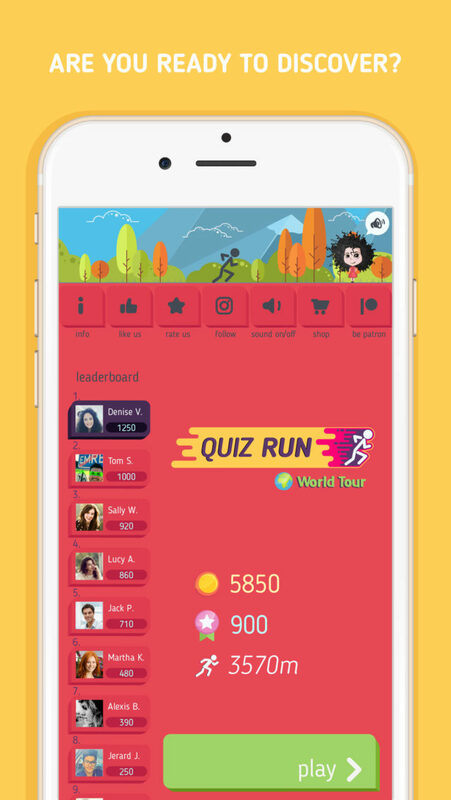 Download “Quiz Run – World Tour” free and start to run. Discover the world in a playful way.